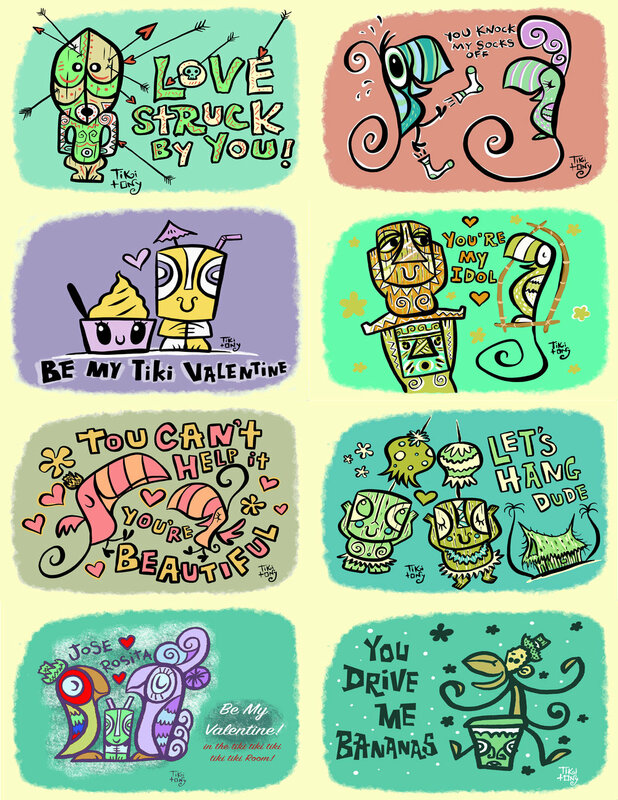 Tiki tOny Valentines! Right click or drag to desktop to save and print yourself! Download this image and print out for yourself as many times as you like for personal use! Contact me for any other use please! If resolution isn't big enough, just email me and I'll email you the big file!